I was sworn never to give out this recipe. But, since you are all looking for any reason to come watch the Mississippi State Bulldogs play football, I decided to break my confidence. *Arrive in Starkville at least three hours prior to kick-off. *Never mind if there are. Order a 16-piece mixed box with biscuits and beans. Pay up and proceed to waiting area. *Head east on Highway 12 to the MSU campus and park legally (somehow). 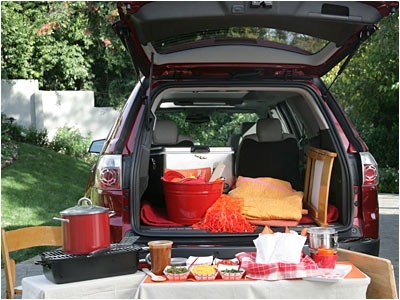 Walk toward the stadium and spot a tailgate party that looks good. Doesn’t matter if you know them or not. As long as you have on maroon and are toting a box of chicken, they will let you in, and you will have the best meal of your life! 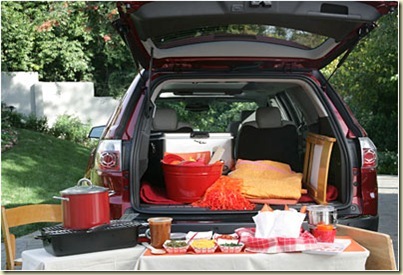 This entry was posted in Food & Entertainment, General Stuff and tagged Best tailgate recipe ever, Mississippi State, Pop-eye's by Emily Jones. Bookmark the permalink.